Much is always made about the prison-like cylinder block walls of college dorms rooms—and for good reason, as dorm walls without any décor do have the depressed look of jailhouse walls. The key to making your college dorm feel more like home and less like a place you wouldn’t want to be, is all about adding your style to the walls. The latest is dorm room décor is what is commonly referred to as Peel N Stick. Made of durable paper or vinyl, this dorm décor item can be placed on any dorm wall without damaging the wall or the paint. 100% removable and 100% re-positionable, the Peel N Stick wall décor is the perfect fit for dorm walls, especially because any damage results in fines. Peel N Stick used to be crazy expensive, but just like anything else, as the more popular it gets and the more competition there is, the price has dropped. The cost for Peel N Stick used to be $50+; now most quality Peel N Stick is no more than the cost of a few posters. With a cool and unique look and affordability, Peel N Stick is quickly becoming the leading product in college dorm decor. When it comes to your college dorm decor, we know you'll have posters, Peel N Stick decor, tapestries and dry erase boards, but nothing tops your pictures. Posting your favorite pics of your friends, family, and places you've been is the best and most common way to outfit your dorm walls. 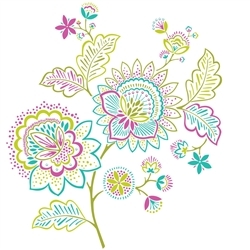 Your pics bring your life and personality to your college room. Not much is more comforting than smiling at some of the fun times you had during high school or with your college friends. The question is not if you'll post your pics, but how? Masking or scotch tape is only an option if you don't mind your pics falling off your wall halfway during the semester. 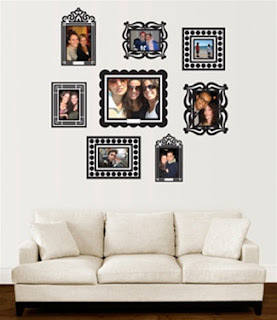 The above options ranged from simply sticking your photos on your wall to ways to make creative photo collages. Odds are you'll use a combination of the ways we listed to keep your dorm walls decorated and looking the way YOU want. After you've posted your pics on your dorm wall you can add some extra decor with Peel N Stick Frames also known as Stickr Frames.